Morning Recovery Hangover Drink - Does It Work? 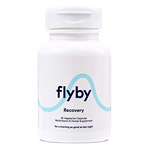 Morning recovery is a drink which is specifically designed to alleviate the symptoms of a hangover. They’ve exploded onto the market after raising huge amounts of money from public and private investment and subsequently launched a successful marketing campaign. 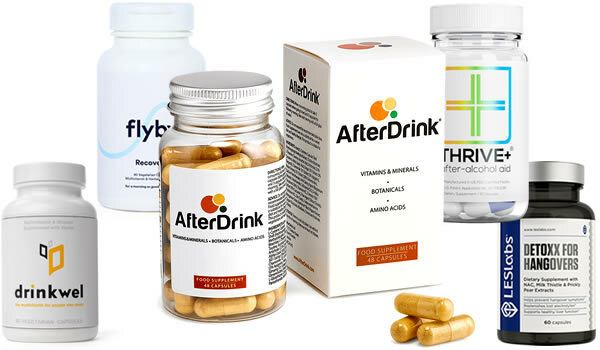 As a result, Morning Recovery is one of the biggest names in the hangover supplement industry. The purpose of this Morning Recovery Drink review is for us to take a close look at this particular product from all angles to see where it stands against the others. 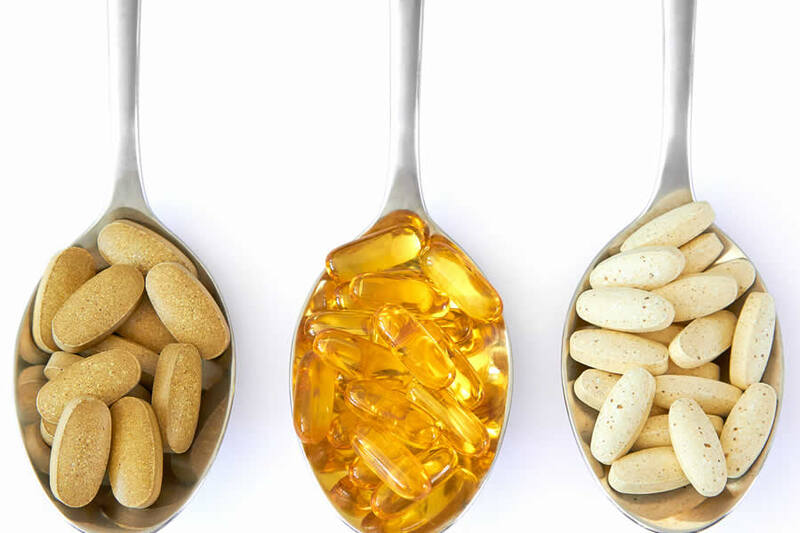 There are so many different supplements on sale these days that it can be tricky to pick out the best products. Especially when they all claim to be the best! 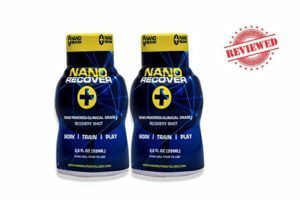 We’re going to be taking a close look at the Morning Recovery ingredients formula, dosages and customer reviews to see whether this product actually works. 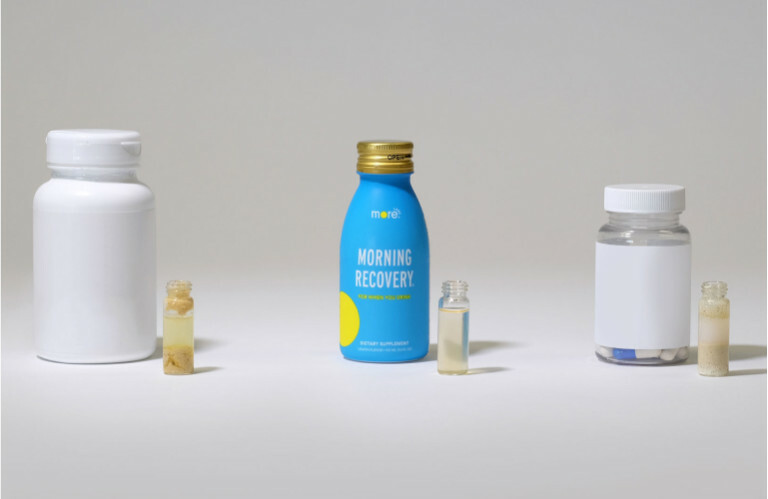 The founders of Morning Recovery drink include an ex Tesla and Uber engineer. 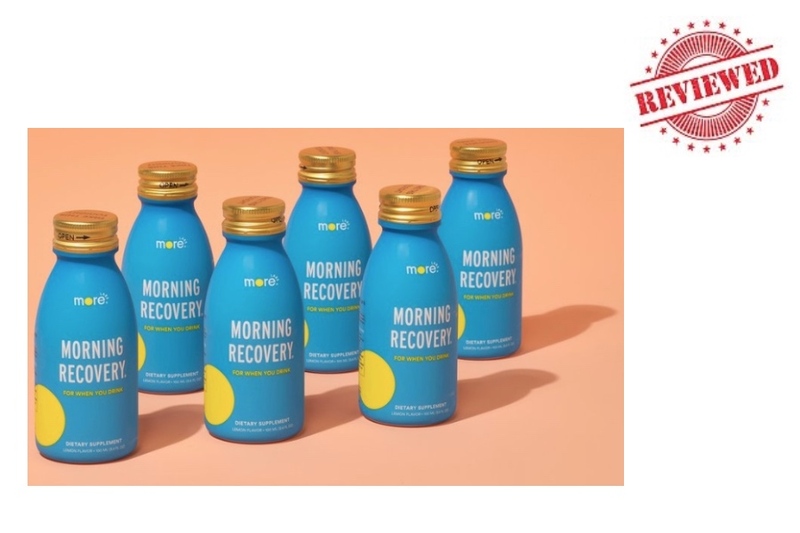 Morning Recovery first launched on Indiegogo, the well known crowd funding platform and raised $250,000 which was 960% more than its initial aim – Pretty impressive. They then went on to raise almost $8 million from US and Canadian venture capital investors. One things for sure – they are definitely the richest supplement company around. Recently they rebranded their product to incorporate it under the name “Morelabs”. This may suggest they are planning to bring out more products under this brand instead of Morning Recovery. 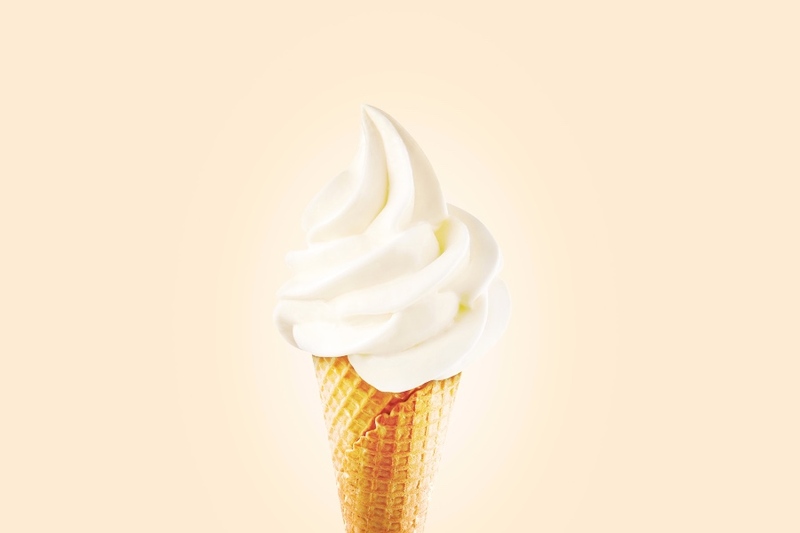 On their website, they have several claims that their product is superior to the competitors because of the better absorption with their ingredients. Over the years we’ve learnt not to pay too much attention to marketing material. Instead, it’s better to focus on the ingredients formula and the customer reviews to see whether a supplement is really any good or not. How does Morning Recovery work? To explain this, we first need to cover how hangovers effect your body in the first place. Alcohol is broken down by your liver to produce toxic by-products which wreak havoc on your insides. 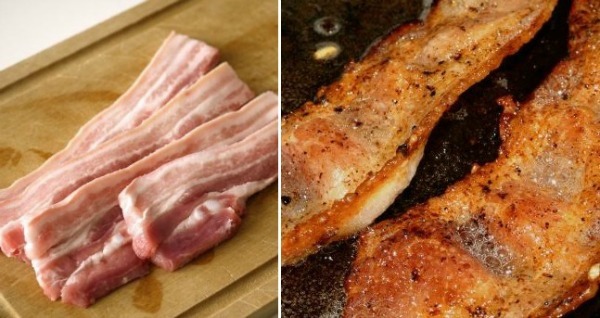 These by-products are known as “free radicals”. In normal situations, your body has a system of antioxidants which clears them up before they cause too much damage. When drinking, this system becomes overrun and exhausted. This is where hangover supplements like Morning Recovery come into play. They work by supplying your body with natural antioxidants in the hope that they clear alcohols toxic by-products more efficiently. 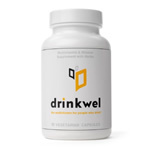 It has to be said that this is still largely unproven and most hangover supplements are based on a small number of scientific studies that still needs a lot more rigorous testing. That being said, you’ll find loads of people who have seen benefit from taking hangover supplements. With the explanations out the way, lets take a close look at the ingredients in Morning Recovery Drink. 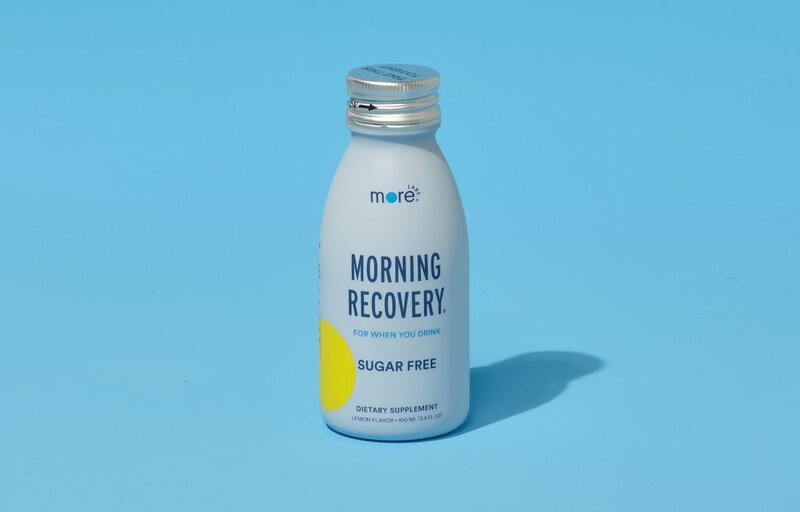 The first thing we notice is that morning recovery uses a proprietary blend. This is disappointing because it means we don’t know the exact doses of each ingredient. Manufacturers often hide their ingredient list under the pretence that they want to conceal their “secret formula”. In actual fact, it’s to cut costs as proprietary blends are much cheaper to produce. No hangover drink is complete without these important vitamins. They help regenerate the enzymes used by your liver to breakdown alcohol so you’ll find them included in most hangover solutions. Dihydromyricetin is the key ingredient in Morning Recovery due to numerous studies attesting to its anti-hangover properties. It’s been shown to counteract alcohol intoxication in small doses as well as make hangovers more bearable among other benefits. Additionally, Morning Recovery claims that their DHM is superior to all the other products. We can’t find any evidence of this from their website though. The only thing they include is an image with their competitors products mixed with water to show how it dissolves (see image above). 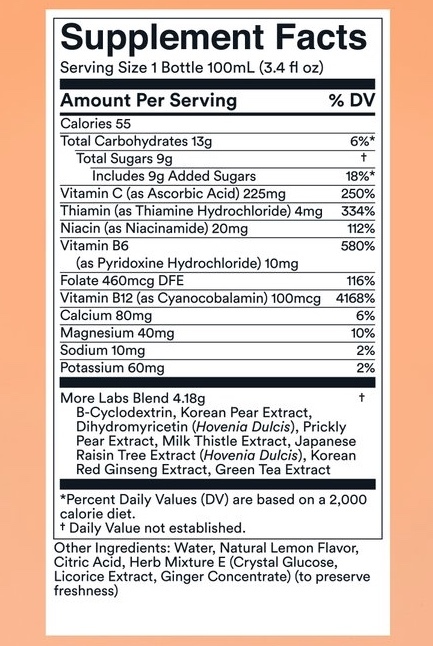 Many popular hangover drinks make use of Korean Pear Extract because it’s been shown to reduce hangover severity by up to 21% in human subjects. The subjects said they no longer had trouble concentrating. This is the most popular ingredient in every liver supplement. It’s been shown by some studies to reduce liver inflammation, some of which induced by excessive alcohol consumption. A small study has shown that prickly pear reduced hangover symptoms in their subjects. The study was only on 25 people though so it needs a lot more work to prove its effects. In one 2014 study, researchers show how it can positively impact blood alcohol concentrations, hangover symptoms such as headaches and nausea, and reduce hangover duration. Green Tea Extract is one of the most researched herbal extracts for supplements. 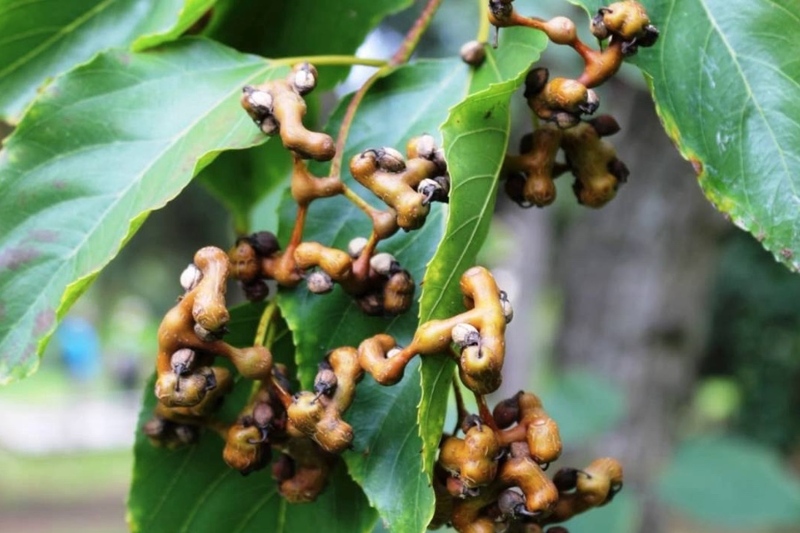 Its perceived health benefits are associated with its antioxidant properties. NAC is one of the major precursors to glutathione which is your body’s most powerful antioxidant. Most of the top hangover supplements include NAC in their formula so we were surprised by its omission in Morning recovery. We always want to see ginger included in a hangover drink because its great for dealing with symptoms of nausea. Feeling sick can be a real problem for some when hungover so it’s important to have something which targets this. This is usually used as an anti-inflammatory to reduce pain and can be good for hangover related headaches. In addition, turmeric has well known antioxidant properties. Extracted from black pepper, piperine is useful for increasing the overall benefits from your supplement. Thats because its a “bioavialablility enhancer” which means it increases the absorption of nutrients from your gut. Without it, you won’t absorb most of the ingredients from your supplement. The manufacturers suggest taking one bottle after your last drink. They also suggest you can use it during your night as a mixer with a spirit if that makes things easier. You’ll find that most of the best hangover pills and drinks have a very similar dosing recommendation. This is because the ingredients need to work before the hangover has set in. When you wake up in the morning hungover after a night of drinking, it’s already too late. The damage is done. In this case, the only thing that will really help is sleep and time. What does Morning Recovery Drink Taste Of? Morning recovery comes in Lemon flavour only. They also have a sugar free version which they have recently released. What if you don’t like lemon? Perhaps you could drink it holding your nose? Essentially, if you don’t like lemon flavoured drinks, theres no other option. Overall, hangover drinks in general are tolerated pretty well especially as most are all-natural. This is also the case with Morning Recovery as they don’t use any stimulants or medicines so it has a pretty clean formula. That being said, everyone is different and may experience reactions. Always read the label carefully to check for intolerances and discuss with your Doctor if you experience adverse side effects. At the time of writing, Morning recovery has 3.9 out of 5.0 stars on amazon with a total of 322 reviews. 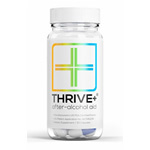 There are several reviews claiming that Morning Recovery is a “miracle cure” and that it stops bad hangovers. They also have 70, one star reviews saying that it didn’t work at all. Some even say they felt much worse with added stomach ache and nausea. As expected, there are also many people who comment that they don’t like the flavour of Morning Recovery which is always a problem with supplements you have to drink. Morning Recovery used to be peach flavoured, but is now lemon flavoured so perhaps more people will like this new range. That works out to nearly $6 per serving which is very expensive. Most hangover pills we review are less than half that price per serving. Is Morning Recovery better than pill/tablet supplements? On their website, they emphasise that “not all DHM is created equal”. They go onto explaining that their patent-pending formula is better absorbed than others. Apart from this statement, we can’t find any other hard evidence to back this up. After taking a close look at their ingredient list, we can see they don’t use anything special compared to the top hangover products on the market. 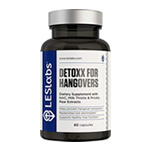 In fact, most of the hangover pills in our top list contain all the ingredients Morning Recovery does plus more. In addition, we feel that swallowing a few pills at the end of the night is much easier than having to drink more fluid that we may not like the taste of. Moreover, travelling with several bottles of Morning Recovery Drink is a headache because of the added weight and space it takes up. To be fair, their most recent product has been made smaller to factor for travelling issues. But it’s still nowhere near as easy as carrying a small bottle with tablets in it. Also, taking liquids in your hand luggage aboard an aeroplane is not allowed anymore (over 100ml). This means you’ll only be able to carry one single bottle of Morning Recovery with you. Hangover drinks and pills aren’t miracle cures. If you’re expecting to get wasted and wake up with no hangover at all, then you’re going to be disappointed. 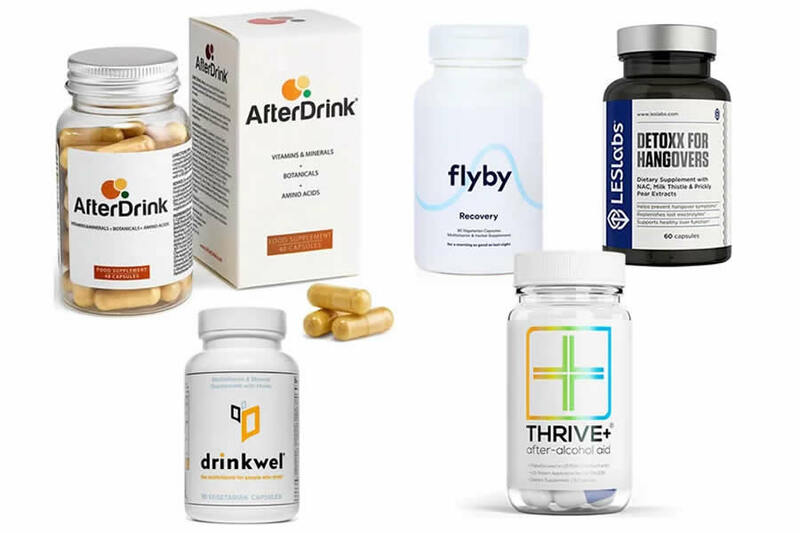 These supplements are designed to aid recovery and take the edge off your hangovers, but they certainly won’t stop them. They are also not going to prevent any long term damage from regular alcohol consumption. As always, you’ll need to drink in moderation, keep well hydrated throughout your night and have a meal before you go out. In addition, stick to lighter coloured drinks as these contain less congeners. 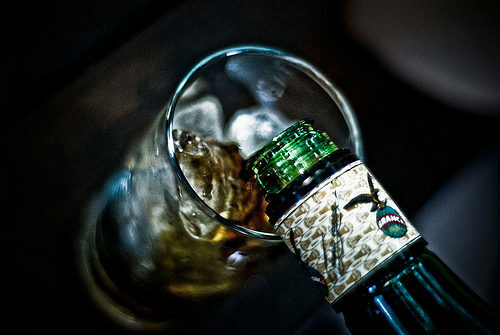 Darker coloured drinks such as whiskey and red wine contain more congers which are associated with worse hangovers. That brings us to the end of our Morning Recovery Drink review. Their marketing campaign has been so successful that they have really dominated the hangover prevention market. 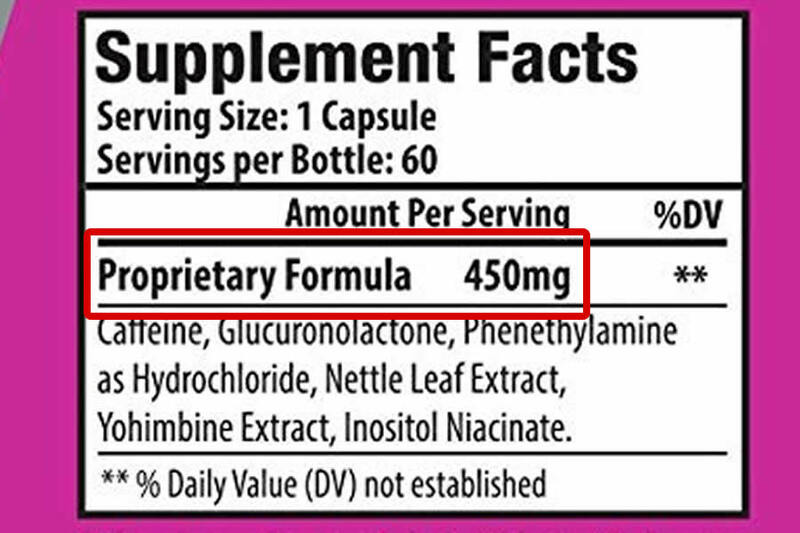 When we take a closer look at their ingredient list, we can see thats it’s not too dissimilar to the other supplements. Theres a lot of emphasis on their website that their product is far superior to their competitors but we don’t see any hard evidence backing these claims. It also has additional downsides with the fact that it’s more expensive than its hangover pill alternatives and is more difficult to take. Travelling with Morning Recovery is also an issue, especially if you’re only taking hand luggage with you on holiday. You’ll only be able to take one bottle which is not ideal. In summary we think its a decent supplement, but for us it doesn’t make it onto the list of the very best.